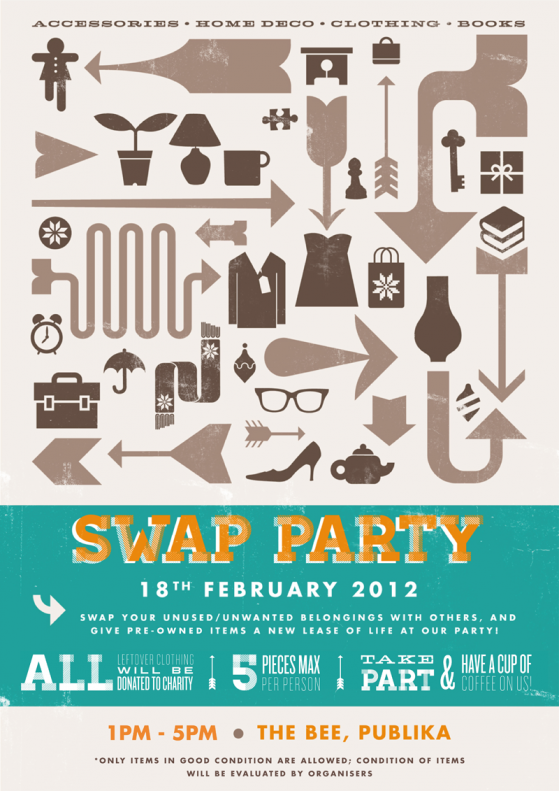 We will be having out first Swap Party outside of Markets and everyone is invited to join in! If you have any unwanted items that you think deserve a better home, bring 'em over to our little party and swap them with others. We accept anything from clothing accessories, to books and that pretty little vase sitting on your garden collecting dirt - as long as they're in good condition and is still usable*. The best part is, it is absolutely FREE to be part of our Swap Party and on top of that, you get a free cup of coffee on us and a discount voucher from The Last Polka. The good people from The Bee is also having their Brew Day Out on the same day so bring all your friends and family for a fun day out!